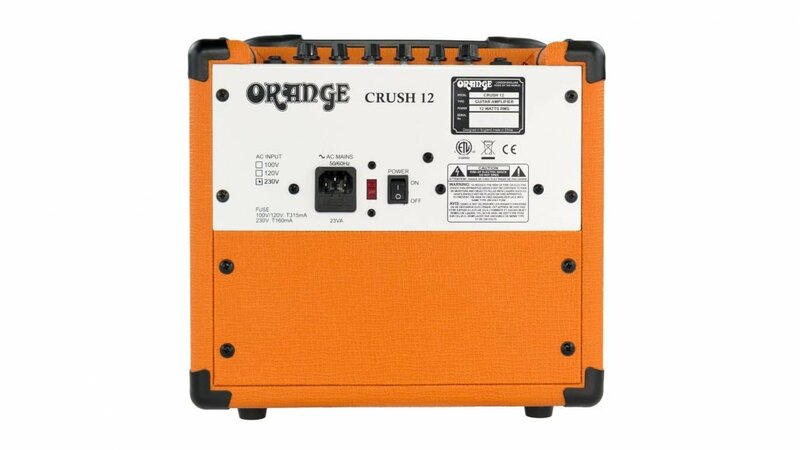 Ever since the founding of the company in 1968, Orange has been a pioneering force in the guitar amplification industry. Today, with a team of the world’s finest amplifier engineers, Orange continues to push back the boundaries of conventional amplifier design. Our commitment to craftsmanship and quality control has allowed our amplifiers to stand the test of time, giving their owners as much pleasure now, as the day they were bought. 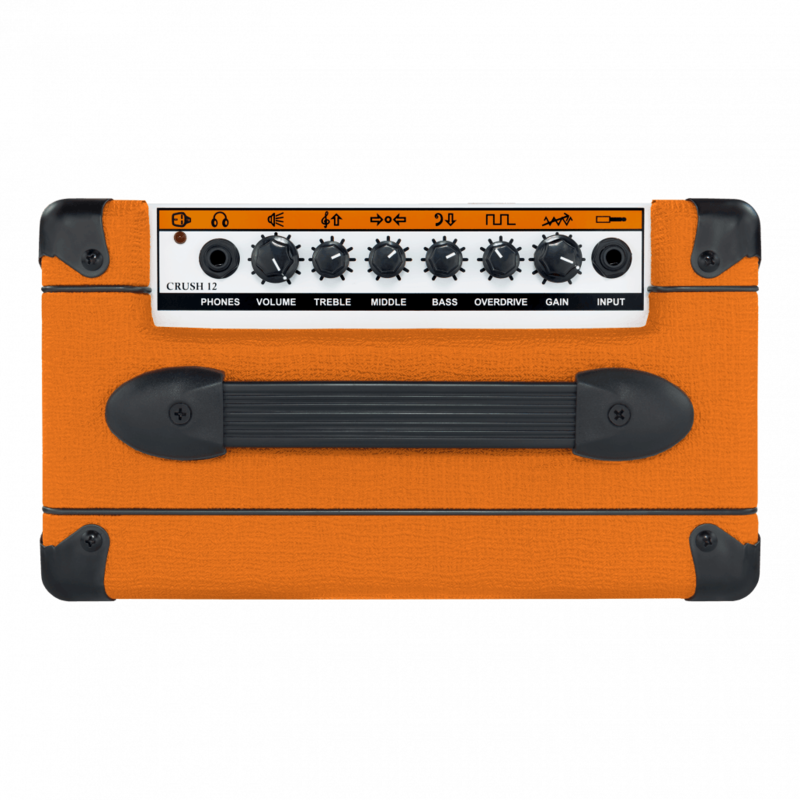 To maintain this level of excellence, each Orange amplifier is put through many rigorous test procedures before leaving the factory. This manual contains valuable technical and safety information. Please take the time to read this manual as the information may enhance the sound and performance of your amplifier. We are confident that you will be delighted with your new purchase and that it will provide you with many years of enjoyment. You are now a member of the Legendary British Guitar Amplifier Owners Club! In the interests of product improvement, the contents of this manual may be subject to change without notice. 8) Do not install near any heat sources such as radiators, heat registers, stoves, or other apparatus (including amplifiers) that produce heat. 9) Do not defeat the safety purpose of the polarised or grounding-type plug. A polarised plug has two blades with one wider than the other. A grounding type plug has two blades and a third grounding prong. The wide blade or the third prong are provided for your safety. If the provided plug does not fit into your outlet, consult an electrician for replacement of the obsolete outlet. 10) Protect the power cord from being walked on or pinched particularly at plugs, convenience receptacles, and the point where they exit from the apparatus. 12) Use only with the cart, stand, tripod, bracket, or table specified by the manufacturer, or sold with the apparatus. When a cart is used, use caution when moving the cart/apparatus combination to avoid injury from tip-over. 14) Refer all servicing to qualified service personnel. Servicing is required when the apparatus has been damaged in any way, such as power-supply cord or plug is damaged, liquid has been spilled or objects have fallen into the apparatus, the apparatus has been exposed to rain or moisture, does not operate normally, or has been dropped. The lightning flash with arrowhead symbol, within an equilateral triangle, is intended to alert the user to the presence of un-insulated ‘dangerous voltage’ within the product’s enclosure that may be of sufficient magnitude to constitute a risk of electric shock to persons. Terminals labelled as “Speaker Outputs” must be connected to a speaker cabinet of the designated load rating using an un-shielded two conductor cable for speaker use at all times during operation. The exclamation point within an equilateral triangle and "WARNING" are intended to alert the user to the presence of important operating instructions. Failure to heed the instructions will result in severe injury or death. Models which use a mains cord/plug to connect to the mains electricity supply must be connected to a mains socket outlet with a protective earthing connection. The voltage selector switch and mains fuse are set at the factory for the country or region in which this Orange product is intended to be sold. To prevent serious damage to the product, ensure that the rated AC mains voltage indicated on the product's rear panel agrees with the mains voltage from your AC mains outlet before connecting the mains cord/plug. If the product is to be used outside of the factory set region, ensure the voltage selector switch (found on the rear or side panel) is set to the correct voltage for the new country/region and that the appropriate mains fuse is fitted in the pull-out fuse tray below the IEC mains input. The correct mains fuse rating for your product is printed on the chassis. Use only the same 250V type and rating as specified for the product. Different operating voltages may require the use of different types of line cord and attachment plugs. If you are unsure, contact your Orange Dealer. This Orange product complies with the WEEE Directive (2002/96/EC) marking requirement. This affixed product label indicates that you must not discard this electrical/electronic product in domestic household waste. Please contact your local authority for details of your nearest approved recycling facility. The power light will illuminate when the Power switch (rear) is set to ON. Connect headphones via a stereo 1/4″ jack for silent practice. The Phones output features Cabinet Simulation and can also be used to connect the amp to a mixer or recording console. Avoid using headphones for extended periods at loud levels. Adjusts the overall output volume level. Note: with the Gain set to zero no sound will be heard. Adjusts the high-end frequencies. Increasing the Treble control produces brighter tones. Adjusts the mid-range frequencies. Increasing the Middle control produces a ‘fatter’ sound. With higher Overdrive settings, reduce the mid-range frequencies for a more ‘scooped’ modern tone. Adjusts the low-end frequencies. Increasing the Bass control produces deeper tones. Adjusts the level of overdrive. Set the Overdrive to zero for cleaner tones. Higher Overdrive settings add greater levels of distortion. Experiment with the Gain and Overdrive controls for a wide range of ‘crunch’ and heavily distorted tones. Adjusts the input signal level. Set the Gain control higher with lower settings on the Overdrive control for a classic vintage ‘crunch’. Balance the Gain control with the Volume control to achieve the desired output level. Use a quality shielded instrument cable to connect your instrument to the Input jack socket. Refer to ‘Before Using Your Amplifier’. Connect the supplied IEC cable to the AC Mains Input. Ensure the Power switch is set to OFF before connecting the IEC cable. The mains fuse is located in the pull-out tray underneath the AC Mains Input. If the mains fuse blows, replace only with the exact rating for your region . If the mains fuse continues to blow contact your Orange dealer. Refer to ‘Before Using Your Amplifier’. Factory set to the region in which the amplifier is intended to be sold. Ensure the amp’s volume controls are set to zero before switching on power to the amplifier. Switch off when not in use.